I'm looking to get new sails but I'm inexperienced as far as power wave sails go. I've narrowed my search to two brands/models which are Naish Force 5 5.7 and North sails Volt 5.9. 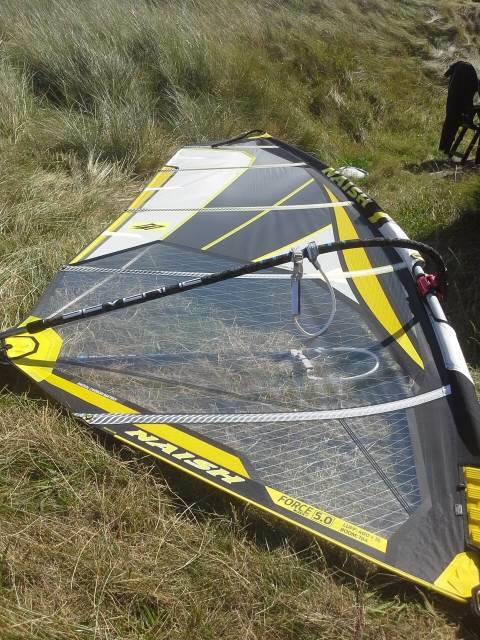 I mainly want something which is an allround sail, used for both flatwater and going in the surf a bit - happy to take the compromise that inevitably comes from non-specialist gear. After only going on flat water I'm going to start entering the waves. Has any of you used both or any of these type of sails and how would you rate it? The Volt is described as being more backhanded, and the Force 5 has a more forward pull. Volt is described as being more of a freeride/freestyle and force 5 more of a wave sail. For what I want to do how would you rate these two sails? I would go with what best suits your current mast . unless you are starting from scratch. Another brand/design worth considering is the KA Kults. I used a 5.8 from 18-25 on a 110L for years as my go to sail. 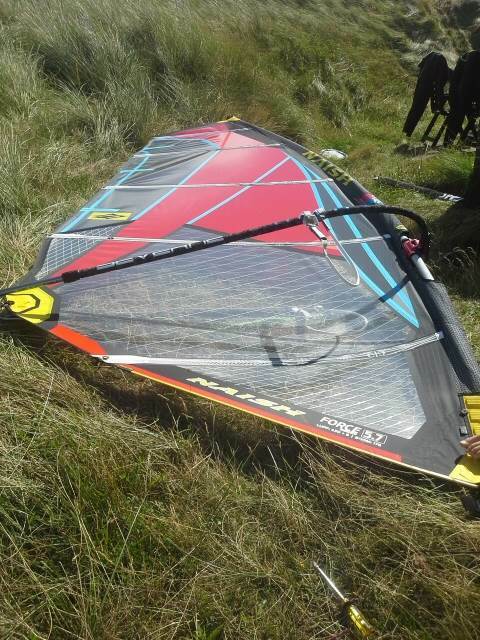 I would agree with this review, the Volt has a slight bias to bottom end which suits me as this is my largest sail. If you mainly want the sail for top end control, it might be better to consider other options. dhat: For brand new Severne gear, you need a thick wallet. Although the the 2nd hand market is flooded with Severne gear at the moment, and you will find some bargains in the buy/sell section. I have a Volt 6.9 for my Tabou 3s 116 L and I'm very impressed with the sail. Well made, attention to detail obvious. Feels light in the hands despite being such a big sail. Very easy to pump onto a plane. Well mannered in all points of flat water sailing. Haven't tried it in waves. The good part is I own no gear except boards and a harness. So I am free to build up from scratch. Locally (live in Europe now) I can get some really good deals on Force 5s from 2015 and 2016 - Naish masts are hard to come by though. Also plenty of Volts from a year or two ago. Severne sails are a bit pricier, and also tend to have less older stock. Regarding Volts, I've never really liked sails which have trouble in high wind, and this seems to be what the reviews indicate. I will get a larger etype for lower wind days, so not really concerned about low end range so much. Unfortunately it will be difficult to avoid a 430 mast - I need something in the 5.7 to 6.0 range - it is likely to be the most used sail, but for my small sail(s) I will need to go for a 400 mast. I can use a 400 with a longer extension for the larger sails I suppose but it is getting it backwards - having the compromise on the most used combination. Maybe a unifibre mast for the less likely to be used sail sizes will do. How do unifibre CC masts perform on Force 5s? Dunno. I use CAAS Powerwave 100C masts. I'm very happy with them. Nb/ CAAS will make a mask to a sail spec. Either give them the three point displacement measurements or tell them the sail you will be using. Price/ quality is very good. And they match the Naish sails pretty good. 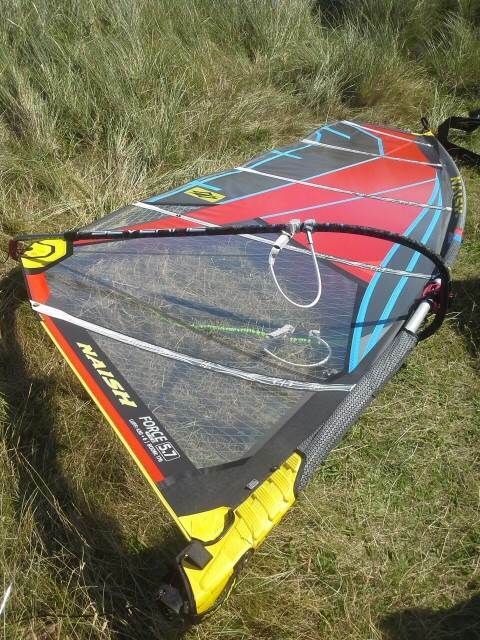 I've used the Gun Select masts in the past with Naish Boxer, Session and Stealth sails. At the time Naish was more towards hardtop and Gun had CC masts so it wasn't a perfect match. But I found out that the low-end was only slightly less compared with the Naish Firesticks RDM but the high-end gave the sails a softer but slightly gruntier feel. Since I last sailed the Naish/Gun combo Naish moved towards CC masts so both the older and newer Gun RDM masts are a close to perfect match to 2012 model Naishes and up. Compared to Unifiber the Gun 100% Select RDM is about ? 80,- cheaper depending where you live in Europe (shipping rates). Plus the mast is delivered to your doorstep. I ended up with these nice looking sails and CAAS masts. 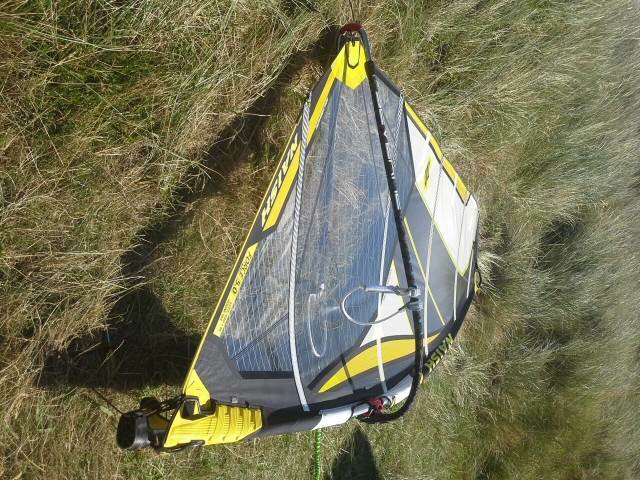 Here are a few pictures of the Naish sails 5.7 and 5.0 with CAAS masts 100C. Is this how these sails ought to be? I'm not used to rigging modern sails. Because I do not have Naish masts I'm not sure whether I am seeing good things or not. A few comments. The 5.7 needs about 5 to 10cm more downhaul than indicated by the manuf. Could be due to the vario top which is difficult to get to the minimum setting. Once the downhaul is cranked down more, the leech gets looser and the battens near the boom are touching the mast. When I press on the belly of the sail, it stretches out and the shape looks good. Without any pressure the mast sleeve bulges a bit to the front. I assume this is how things are meant to be. The 5.0 looks slightly better to me - the extension is exactly as per manuf, but I find that I need a slightly longer boom than indicated. The more I crank down on the downhaul, the longer the boom seems to want to be. Price/ quality is very good. And they match the Naish sails pretty good. Thanks TheTank. I got your message too late - but good to know about a good cheaper mast brand that works well. The CAAS masts are priced about the same. From what I can tell they work quite well on Naish as well. Please let me know if you can see any problem with my setup. Initially I did not have the downhaul cranked down enough - the battens stuck out in front of the mast with a firm leech - just looked horrible. After a youtube video or two I managed to get the sail looking decent - at least as decent than anything I have hired. The battens now just touch the mast on its side, and the leech is loosening up a bit - I believe this is how it should be. I just don't know if the mast sleeve should be as loose around the boom attachment point at the front of the mast. With wind filling the sail, it pushes out creating a nice shape around the boom - the slack in the mast sleeve then disappears. I still have to sail these rigs so cannot really tell how they perform on the water (yet). You may have to play around with the Downhaul/outhaul settings to get the desired result. Usually if you can push the sail down with medium effort and touch the boom with the window, it's about right. Downhaul may need some tweaking with the mast. Usually a floppy/loose leach to the 3rd/4th batten from the top allows good leach twist and depowering. This may need to be adjusted if the bend curve of the mast doesn't match the sail.